High-quality content has been the catalyst behind all successful digital marketing campaigns in the last decade. That trend is not going to change anytime soon. An April 2018 study by the Content Marketing Institute (CMI) found that 73% of B2B marketers ranked blogs as the most effective tool for generating interest and growing their brands. E-books and podcasts tied for second as early stage content that guides consumers through the sales funnel. A blog full of high-quality content, combined with a social media strategy to help disseminate said content, are characteristics of successful, profitable companies. 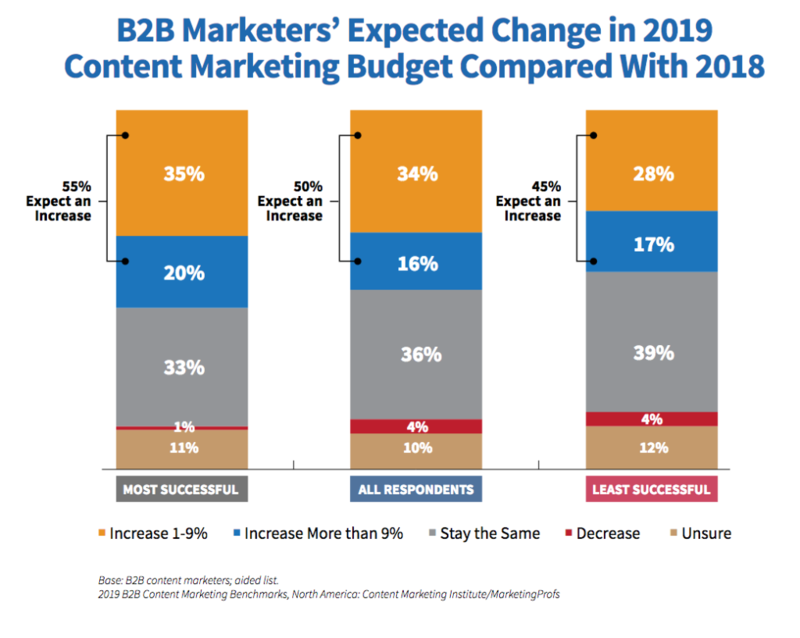 These firms are increasing their content marketing marketing budgets in 2019 to ensure continued prosperity and growth. Content must provide real value not only to get noticed by search engines, but also to build and maintain that ever-important trust factor with your audience. Consistently educating, entertaining, and/or engaging consumers with high-quality content leads to higher conversion and retention rates in both the short and long terms. The new year is fast approaching, giving marketing departments and small businesses the opportunity to evaluate their content marketing efforts and make the necessary adjustments. Here are a few things to keep in mind to maximize returns on content marketing in 2019. People are searching the internet differently in 2018-19 than they did in 2008-09. Google recognized this trend and as a result, changed its search algorithms to accommodate this ubiquitous behavior. Gone are the days of stuffing your yoga blog with keywords like “yoga pants,” yoga mats,” and other related phrases in hopes of ranking high in search engines. Alexa, Siri, and other voice-recognition applications have given consumers more freedom. Robotic search terms like “sushi restaurant” have been replaced by more conversational phrases like “where should I get sushi tonight?” Bloggers and SEO personnel are incorporating these long-tail keywords into their overall strategies and driving more organic traffic. The idea is to naturally incorporate said terms into content without it looking spammy and forced. This strategy results in higher organic reach despite Google devoting more first-page results space to paid ads and its Knowledge Graph content. Data analytics firm Ahrefs performed a study on 1.9 billion search queries. 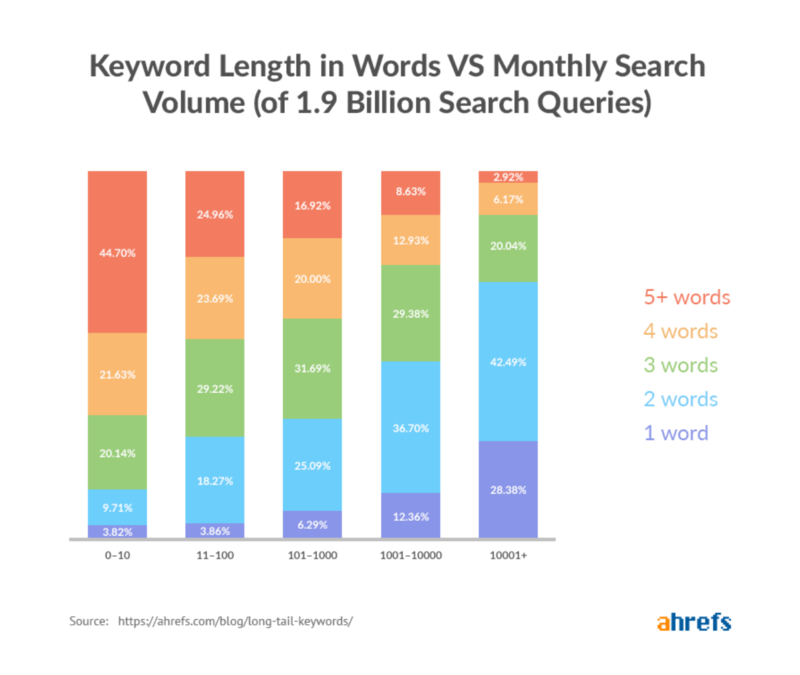 It found that over 29% of said keywords that got 10,000+ monthly searches contained three or more words. In other words, content creators have more flexibility and creative freedom when incorporating keywords. They are no longer beholden to saturated keywords that everyone else is already using. Topic clusters and pillar pages address this phenomenon and keep your company blog and website optimized for maximum organic (free) reach. Pillar pages are blog posts or web pages that addresses a broad (saturated) keyword or topic. This content is long – typically 2,000 words or more – but does not get into great detail about subtopics. A fantasy football advice website, for instance, has a pillar page called “Winning Draft Strategy.” This article has a 300-word intro, then five headers break down draft specifics. The first header is “Know Your Scoring System.” This section informs readers that standard fantasy football leagues award four points for touchdown passes, six points for rushing and receiving touchdowns, and zero points per reception. Most draft cheat sheets are based on standard scoring rules. Load up on running backs and wide receivers in the first three rounds and wait for your quarterback and tight ends later in these standard leagues. A PPR (points per reception) fantasy football league awards one point (or some variation thereof) to a player every time he catches the football. A separate blog post entitled “PPR draft strategy” is linked within the pillar content to further explain the nuances of PPR. Running backs who catch a lot of passes out of the backfield and high-volume wide receivers are ranked far higher in PPR leagues than standard leagues. This model, assuming you are producing high-quality, premium content, not only helps more pages on your site rank in Google and other search engines, but organizes your website so users can easily find what they are looking for. Traditional ads by Google, Facebook, and other platforms have the potential to reach a lot of people. But all reach is not created equal, particularly when it comes to intrusive ad campaigns. Market research firm eMarketer estimated that 25% of internet users employed ad blockers in 2016. The firm said that number increased to 30% in 2018. Laptop users are far more likely than smartphone users to employ ad blocking, mostly because there are less options for ad blocking on mobile devices. Younger consumers are also far more likely than their older counterparts to employ ad blocking technology. This is not to imply that traditional ads are completely obsolete. But those expensive campaigns are not even reaching 30% of your target audience at a given time. A 2018 report by digital marketing firm Bazaarvoice found that over 80% of buyers conduct online research about brands, products, and/or services before buying. That research includes reading reviews on Google, Yelp, and other platforms. Its still an effective strategy to flash a “50% off today” ad to trigger impulse buying based solely on savings. But consumers prefer to read about your products and/or services to determine why they should select your brand over a competitor. Consistent publishing of high-quality content conveys authority in your industry and commitment to your consumers. The global marketplace means consumers have more choices today than at any other time in history. Brands that speak to their audiences in a transparent, honest, and useful way stand out in the minds of potential buyers. 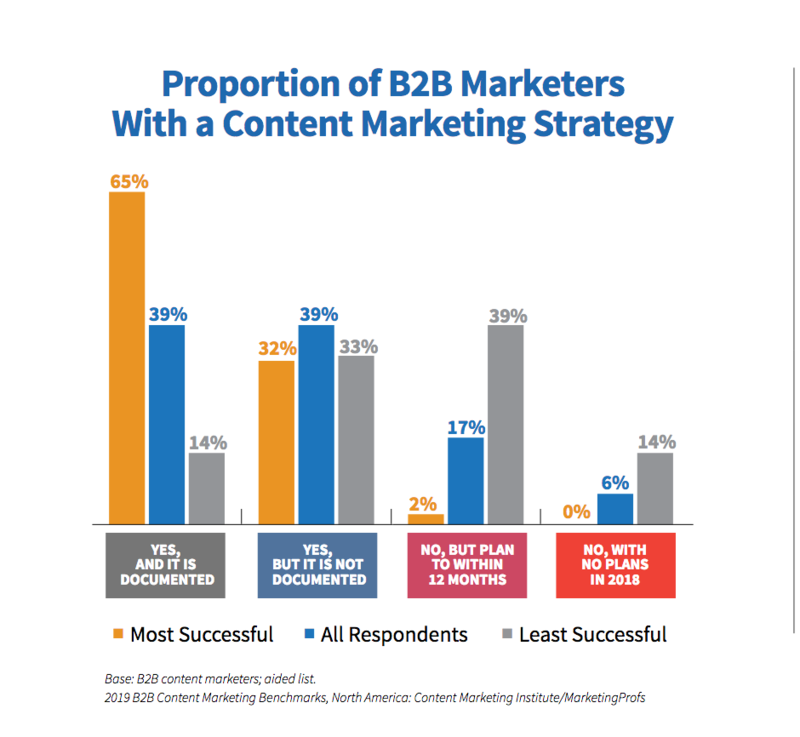 The 2019 B2B Content Marketing Report by CMI found that 65% of the most successful content marketers have a documented strategy that is consistently followed and executed. Companies and brands that are serious about capitalizing on content marketing must have a strategy with tangible goals and KPIs. A content calendar, social media schedule, and email marketing schedule are all essential elements. Brand loyalty is built when consumers expect new, quality content every week and receive just that. Bad reviews on Google and Yelp should be thoroughly and comprehensively addressed directly on said sites. It may even be in your company’s best interest to write a separate blog post about certain reviews (good and bad) to address concerns in even greater detail. Companies are expanding their content creation operations because it builds credibility and trust with their audiences. Conversion rates positively correlate with brand confidence and transparency. High-quality content is no longer an option in 2018-19. It is a necessity for companies wishing to compete in their respective industries. It’s no secret that Google and other search engines prioritize longer, in-depth content on search engine results pages (SERPs). Content marketers are well-aware of this trend. 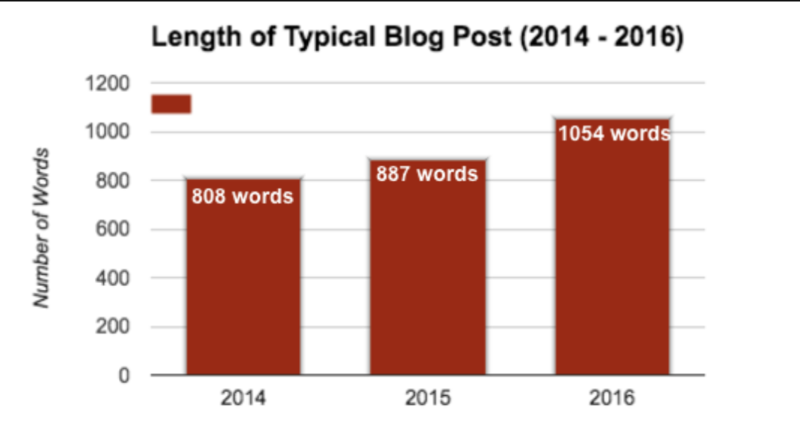 Average blog post length continues rising every year as the arms race for relevance shows no signs of slowing down. The average word count for all first-page Google results was 1,890 in 2017, according to SEO firm Backlinko. But every topic and keyword combination does not need 2,000 words to get the point across. Content length and depth also depends on the audience. Generation X and Baby Boomers overwhelmingly prefer long-form content versus snippets. Millennials prefer shorter, more visual content. The easiest way to balance these dueling demographics is to break content up into sections and provide “eye rest” with strategic photos and images. A 2,500 word blog post does not have to be a text-only, exhausting piece. 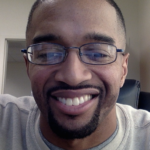 Embed a few videos and even Tweets from relevant influencers. Every blog post also does not need to be highly-indexed on SERPS. Some posts simply expand on a social media post promoting some very specific event, product, or service. An aesthetically-pleasing, 300-word summary is more suitable in these instances. Millennials also prefer infographics and video content over long-form pieces. There are numerous free infographic-building apps that are simple and easy to use. Videos do not need to be Hollywood-level productions to be effective marketing tools. A well-dressed, well-spoken individual looking into a camera and telling your audience what they need to hear versus making them read it, addresses the short attention span demographic and provides variety to your blog. 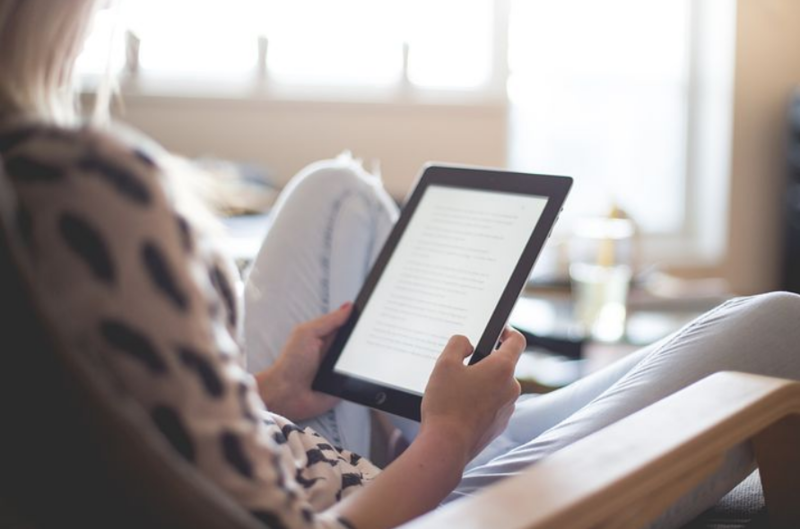 One of the most under-utilized and highly effective marketing tools of 2018-19 are e-books. These 30-50 page books contribute greatly to your brand’s overall perception, particularly when it comes to authenticity and trust. The 2017 Consumer Content Report by Stackla found that 86% of consumers view brand authenticity and transparency as a major factor when determining whether or not to support brands. A study by public relations firm Cohn and Wolfe found that the top quality demanded of big brands is honesty about their products and services. The 21st century consumer has better B.S. detectors than their predecessors because there is so much information to digest in a short period of time. Lazy, opportunist companies use tired, regurgitated marketing tactics that instantly raise caution flags. Authentic companies offer their audiences useful content that guides them through the buying process. Branded e-books show audiences that you are committed to researching and sharing knowledge about your products and industry. A potential customer is far more inclined to choose an automotive technician who offered them a free e-book on DIY car maintenance versus the guy offering 10% off to come get the repair done today. E-books are also quintessential lead magnets. Consumers willingly provide their email addresses and other information in exchange for e-books about subjects that interest them. Quizzes are another engaging lead magnet. There are several free apps that allow you to create quizzes and embed them directly on your website. Slideshows act as more condensed, visually-focused e-books. There are several easy ways to get your website de-indexed from Google and destroy any chance of becoming a thought leader in your respective industry. Google algorithms easily identify and de-index hastily-created spam content stuffed full of keywords in hopes of ranking high organically. Another way to get de-indexed is by using so-called “free hosting.” There is no such thing as free hosting. These companies bombard your website with ads, making for a horrible user experience. Spammy comments also get you dinged by Google. Make certain to either moderate your comments sections in real-time or do end-of-day QA. Content creation is time-consuming and is best done by professionals who understand SEO, brand voice, and authenticity in writing. Don’t publish new content just to say you published new content. Everything on a company website should provide value, and present your company as authentic. Google’s quality guidelines are clear: focus on content, not keywords. Google is in the business of answering questions and does so by ranking the best content related to the instant query. High-quality content gets shared by users. It tells great stories that get re-told on social media. Your company has the opportunity to take the lead on subject matters related to your industry. All it takes is commitment to quality content, consistency, and the desire to succeed. Everything else will take care of itself. 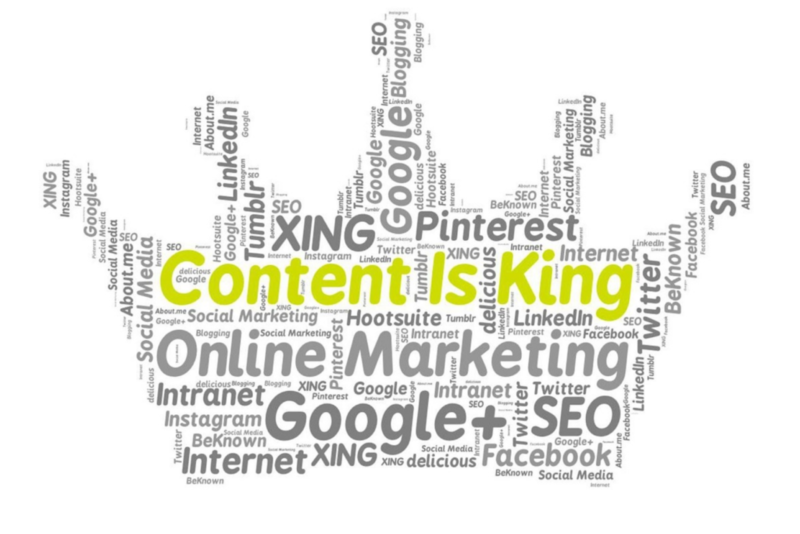 Content Coup is your one-stop shop for all things content. Our professional, in-demand writer and editor has over 15 years experience working in-house at some of the world’s most respected content marketing agencies and has an independent journalist and content marketer. We specialize in on-page web content, blog posts, white papers, business plans, e-books, and everything SEO. Contact us today with your ideas and questions. We’ll get back to you within 24 hours.